For many countries in Asia and Latin American, this week marks the International Week of the Disappeared (IWD). For this reason, I have been thinking about you even more these days. Last night I found it difficult to fall asleep thinking about you, and this morning I woke up feeling terribly depressed. I tried to calm myself with meditation, but it was difficult to get into a state of calm when I was so agitated. My mood went from sadness, to anger, and despair! I asked myself what did you do to deserve such injustice when all you ever did was to be a good person and use your knowledge and skills to improve the lives of ordinary Lao people and Lao communities. After my meditation session, my mind calmed down and I felt a little better. I started to reflect on what you have always told me when you were around. You told me that you have never tried to change the world or change the government system because that is obviously beyond your ability. You said your life goal is only to do your little bit to give back in some little way to the family and the community that have raised you, nourished you, and taught you to become the person you are. And indeed that’s all you have always done – give back wholeheartedly with humility, with humour, and with generosity. I saw the way you worked – whether you are with ordinary farmers, teachers, students, development partners and colleagues, government officials, or even high-ranking people – you always treated each and everyone with respect and courtesy; you also always chose to listen first and seldom spoke a lot. That has always been your way of dealing with people – open-minded, open-hearted, and never opinionated. I guess that is why you have such a large following among people in the development community, and among so many young people from inside and outside the country. During this week, the International Week of the Disappeared, as we remember you and all those people who have been forcedly disappeared, I choose to put aside my despair and sadness. I choose to remember all the good that you have done. I believe that you were disappeared because you tried to live up to your principles and your integrity. And it is your “goodness”, and your ideas of “people-centered development” that were deemed so threatening that some people chose to silence you by disappearing you. Sombath, while I will continue to feel the pain of your absence, I know that your work and what you stand for will continue to inspire people, Lao and non-Lao. I will continue to demand for truth and justice for you, even if all I get is a wall of silence. Sombath, my love, stay strong, and I too will stay strong for you and for all those who have been forcedly disappeared. Sombath will always be remembered by those who worked with him, who knew of his dedication to development for those who were striving to support their families with primarily their ingenuity and hard work. 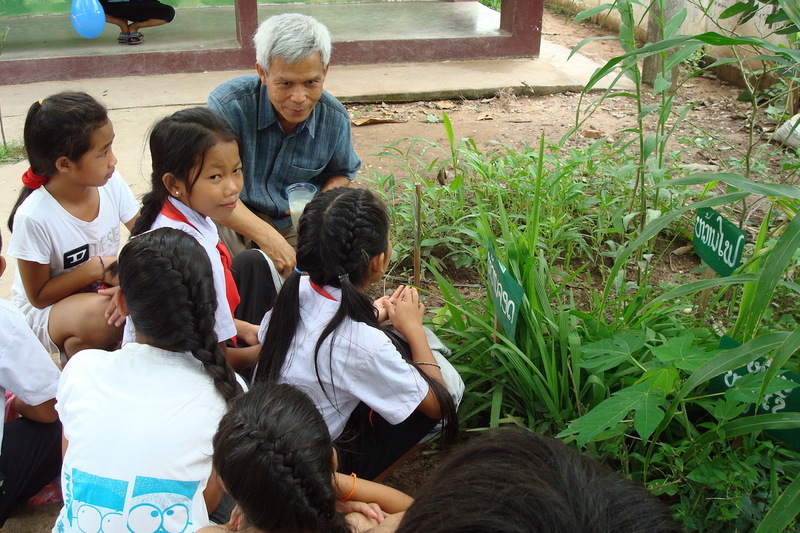 Sombath always encouraged people he met to contribute to development of Laos by his example. His legacy continues. You are a wonderfully strong woman who is an inspiration to us all. You continue Sombath’s work despite the loneliness you experience. Your voice is heard throughout the world and I pray that you will be able to remain strong despite the many challenges you experience. Sombath is a wonderful person and you knew him better than all of us as someone deeply committed to the development of the Lao people, which he worked for with courage, humility and humour. His invaluable contribution will always be remembered and followed up. You were wonderful together. Stay strong. You and Sombath have been in my thoughts the last few days . In fact more so because a programme on education for nomadic pastoralists in India which I am involved with finally took off and the person who had first given me the idea to take it ahead using mobile phones was Sombath, when we met one evening in Bangkok over 10 years ago . Sending you lots of love and energy . Previous PostPrevious Who will choose Lao ACSC/APF participants? Next PostNext Where is Sombath? Where is the UPR?